Two ladies almost ruined my vacation in the Philippines. Karen showed up to welcome us to the Philippines. It wasn’t a friendly welcome. 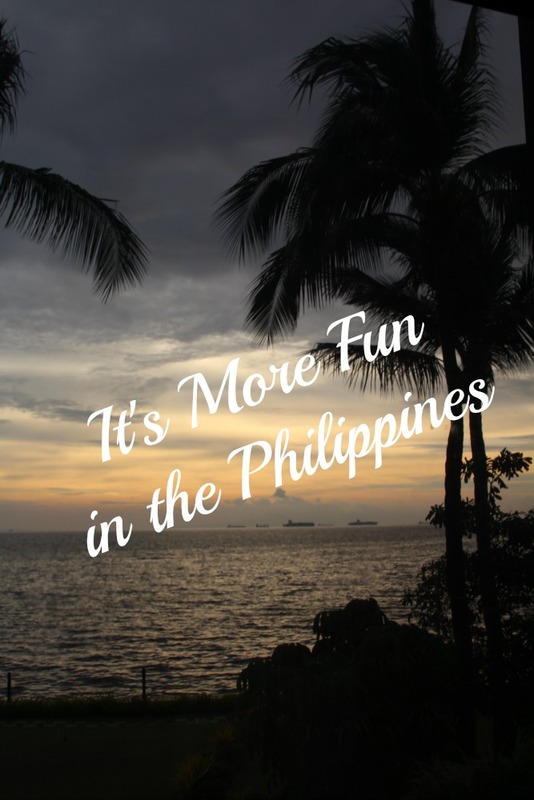 My friend and I arrived in the Philippines in the wee hours of the morning and awoke just a few hours later to a bright and warm but overcast day. No worries, we had built this day into our schedule to recuperate from jet lag. We spent the day lounging at the rooftop pool at our hotel, shopping at the mall, and enjoying some traditional Filipino cuisine. 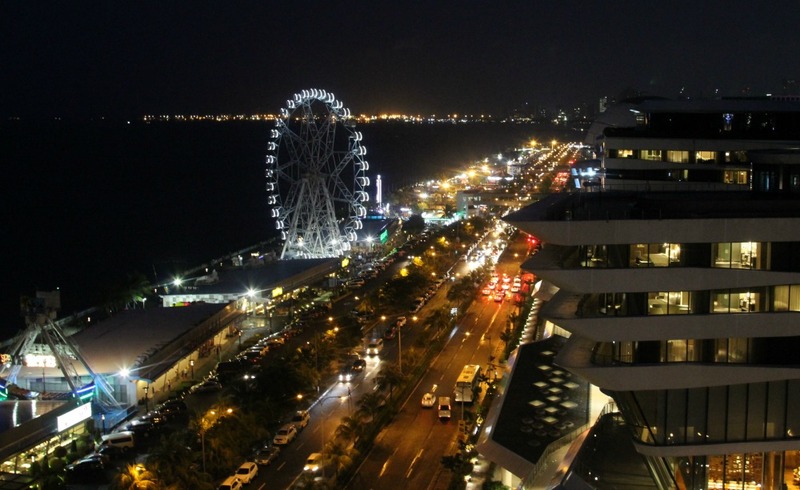 We booked several nights at the Microtel by Wyndham, a 3 star hotel with a 5 star rooftop pool and lounge overlooking Manila Bay. The room was comfortable and clean. The complimentary daily breakfast was quite good and the service was over the top. 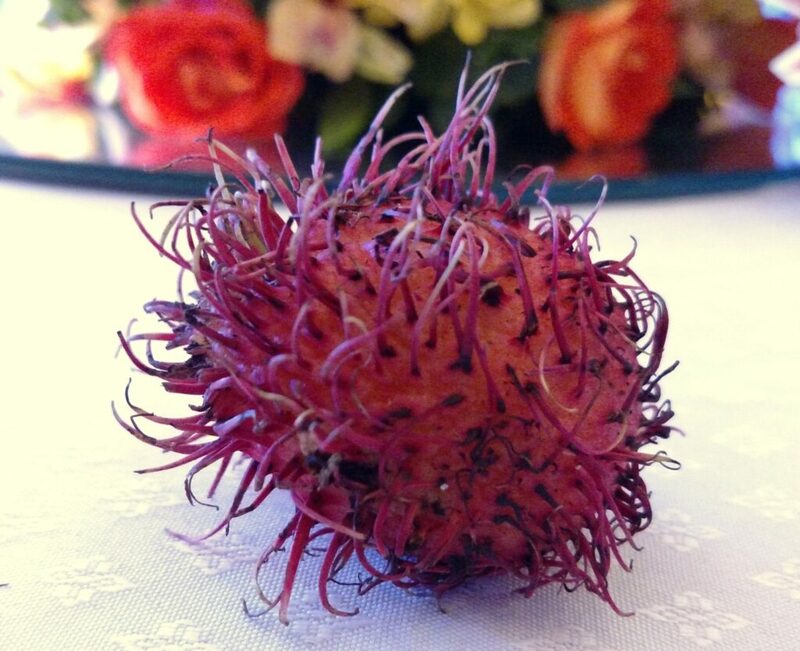 Every morning at breakfast our server gave us a demonstration on how to eat the all the new fruits we were eager to try. 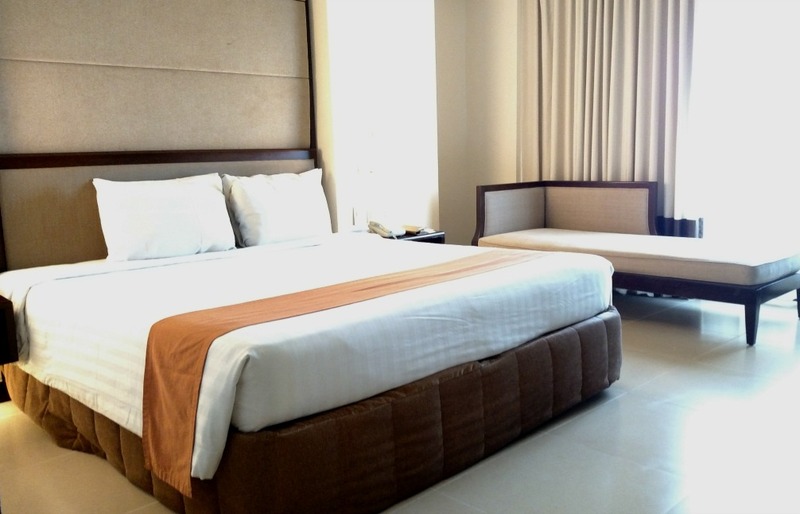 Located minutes from the Mall of Asia and right beside the Bay Area Amusement Park, the Microtel is a great budget friendly choice when staying in Manila. You can take the hotel shuttle to the mall and back. Make sure you go up to the roof to take in the city lights at night. Karen had yet to arrive but she was busy making her last minute travel plans and would soon embark on her journey to the Philippines to join us. 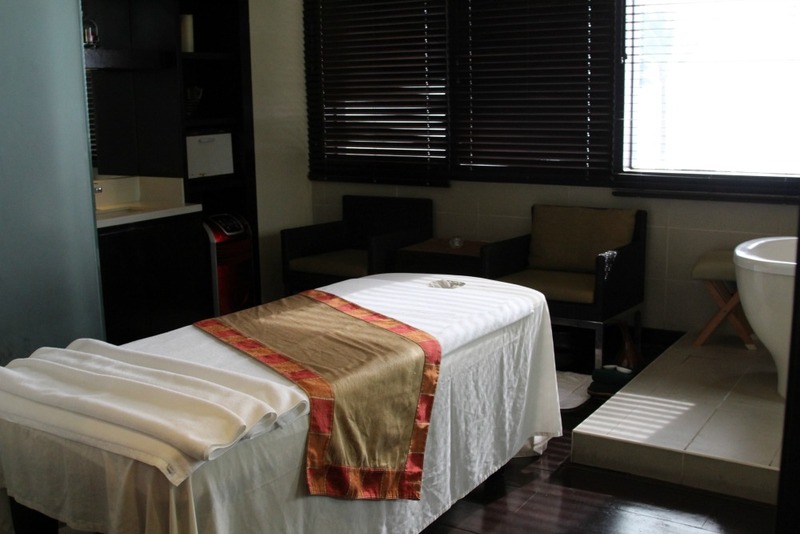 Day 2 we were invited to tour Le Spa at the Sofitel Hotel and enjoy a traditional Filipino hilot massage. The next two days we had to get down to business. Girls gotta work so they can have fun, ya know. 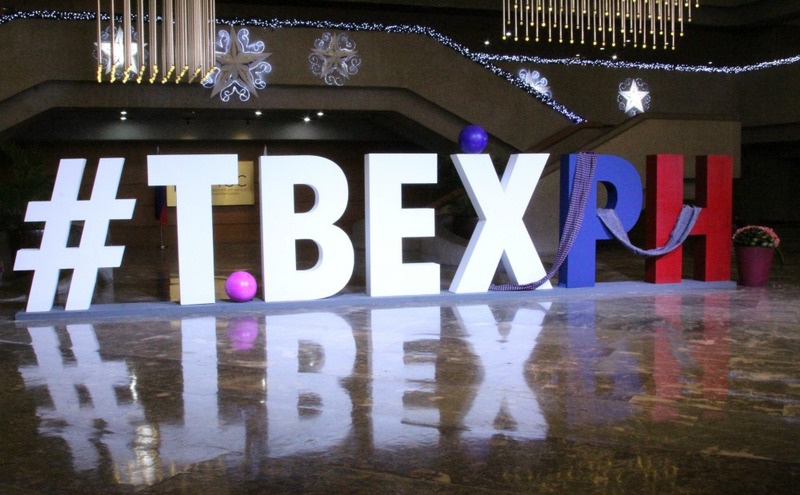 We spent Day 3 and Day 4 attending the best travel bloggers conference I have ever been too, TBEX Asia. Our days were packed full of lectures and networking. At the end of the day we checked into hotel #2, the Belmont, also in Manila. 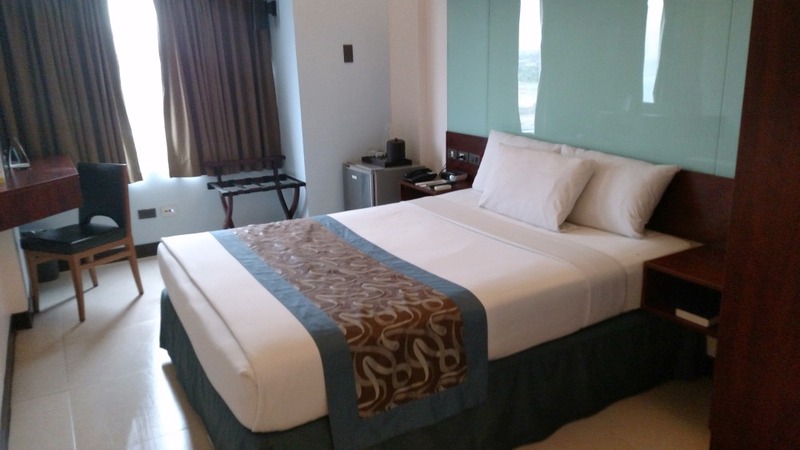 The Belmont Hotel is a stylish and contemporary hotel conveniently located near the airport and right in all the excitement the city of Manila has to offer. 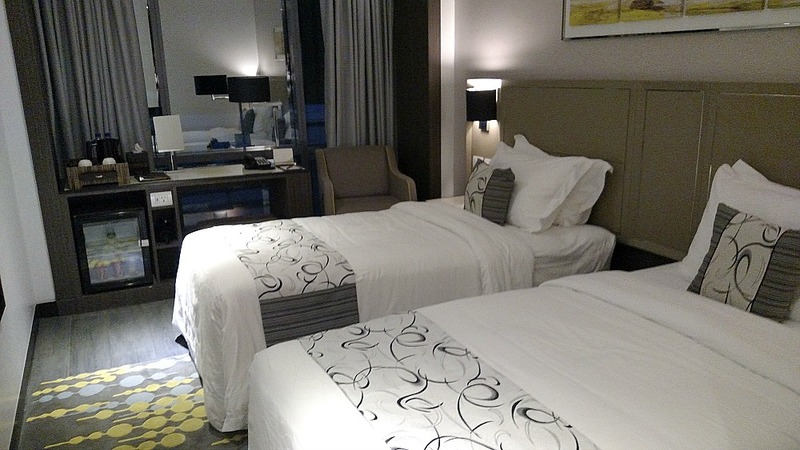 Once you are inside the hotel however, you can shed the chaos and your travel stresses for relaxation and rest. The next morning we checked out of the Belmont and got acquainted with our tour guides for the next few days and our transportation, the Coaster. Day 5 included a tour of Sonya’s Garden, lunch at the Balay Dako Restaurant, and a visit to the Nurture Wellness Village. At the Nurture Wellness Village, we toured the gardens, enjoyed juice and coffee preparation demos, and relaxing massages. 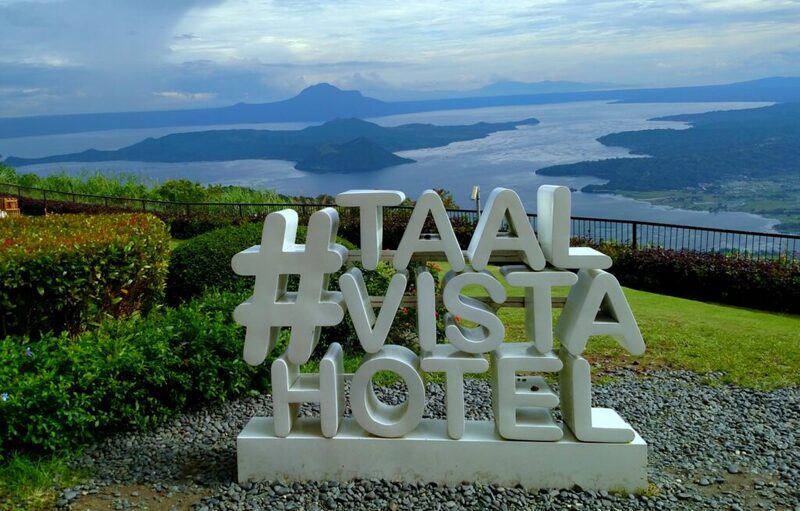 Then it was off to our hotel, The Taal Vista. Let me just say I have never stayed at any hotel whose view can compare to the one at the Taal Vista Hotel. Overlooking the Taal Volcano and Taal Lake, it sounds so cliche but the view really is breathtaking. I found my self drawn to it and mesmerized. The volcano is the smallest active volcano in the world. The view, however, is not the only reason to stay at this hotel. Go for the view but stay for the food. 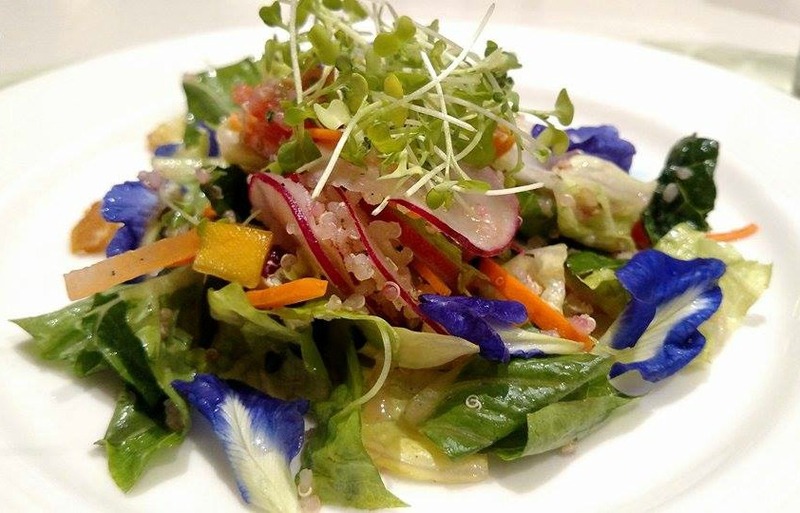 We were treated to a 5 course dinner at the Taza Fresh Table Restaurant. My favorite dish was the beef stroganoff with homemade noodles. All the ingredients are locally sourced and everything is made from scratch. After a restful night, we continued our whirlwind adventure on day 6 with a busy jam packed day touring the city of Taal. We visited the largest church in Southeast Asia, several historic residences, and 2 museums. We also met the mayor of Taal and rode in a tricycle. It was an exciting yet exhausting day and I was thrilled to be heading to a beach resort for the next two days. Aaahhh! What more could I say. As I was escorted to my room past the gorgeous inifinty pool overlooking the beach, I was instantly relaxed and could not wait to wake up to sunshine, sand between my toes, and the wind in my hair. Hello, Acuatico Beach Resort! Then Lawin showed up and I certainly got what I wished for minus the sunshine. She arrived fast and furious but as the saying goes girls just wanna have fun. That’s exactly what we did. 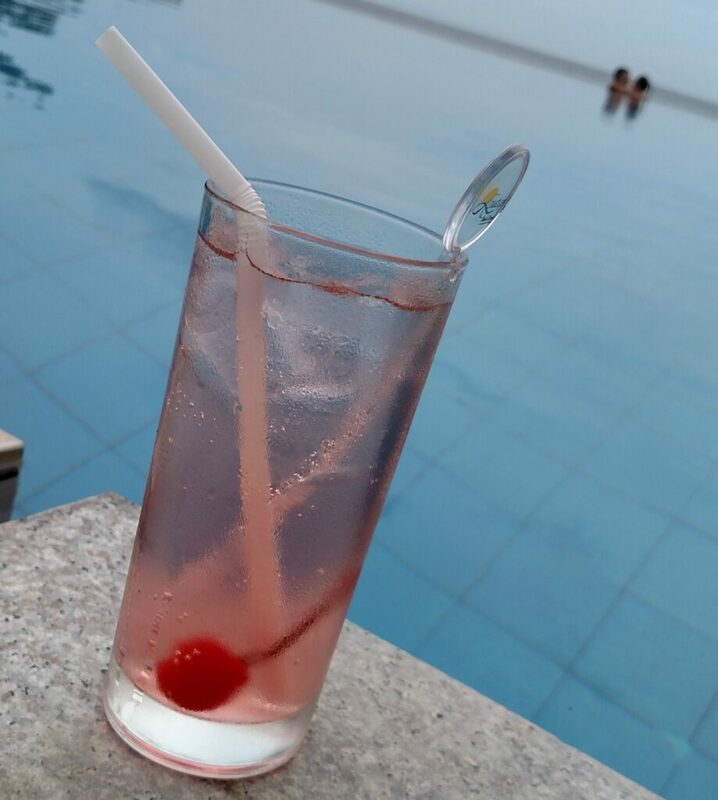 Determined to enjoy the gorgeous pool, despite Lawin and her bad mood, I ordered up a lambanog and drank in the gorgeous setting. We were thrilled that Lawin cooperated enough for us to go sailing and snorkeling. We also enjoyed signature massages at the spa. By evening, super typhoon Lawin, blew through the Philippines. The next morning we headed back to Manila. As we sadly said goodbye to the Acuatico Beach Resort, we were also happy to say goodbye Lawin. After sending our unwanted guests packing, we took off for one last adventure. 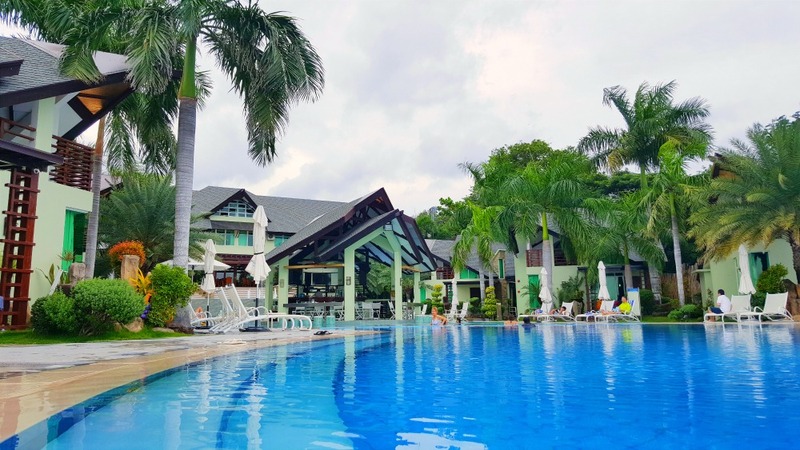 We flew to Palawan and spent one night at the Sheridan Beach Resort. While the drive from the airport to the resort was much more terrifying then Typhoon Karen or Lawin, the resort was well worth the 2 hour white knuckle ride. 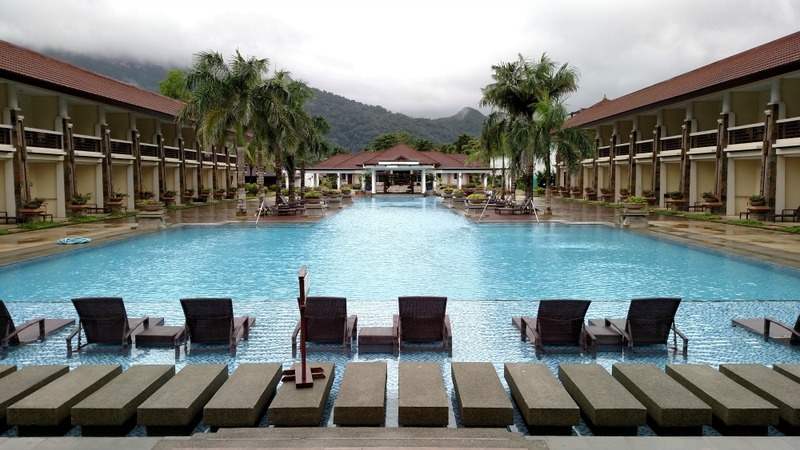 The Sheridan is the best hotel to stay at if you want to tour the Puerto Princesa Subterranean River. From the resort, you take a short 10 min walk to the boats that take you to the caves. 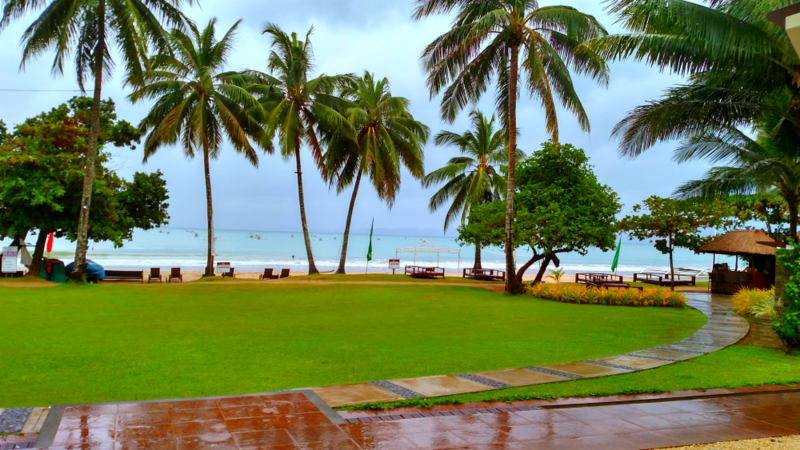 The resort has a huge pool and beach front restaurant which the rain kept us from enjoying. Oh well, what’s a girl to do? Oh that’s right…get another massage. And that is how two friends snub 2 unwanted guests an enjoy 10 days in 5 different hotels proving that it really is more fun in the Philippines. 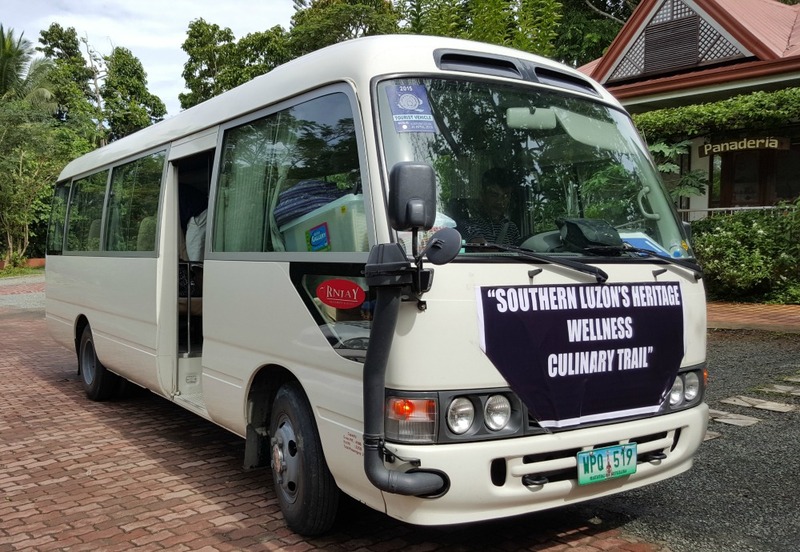 Many thanks to the Tourism Promotions Board of the Philippines for their hospitality and for hosting us on our tour of Southern Luzon. All hotel stays and activities were compliments of the TPBPHL as part if the TBEX Asian Conference with the exceptions of our stays at the Microtel by Wyndham and the Sheridan Hotel. Thank you, Microtel, for hosting us during our stay in Manila. All opinions are my own. What a whirlwind trip of a lifetime! What a gorgeous place to stay if you want to rest and enjoy yourself. Sounds like an eventful trip! Would love a trip like this. Wow!!! I would have liked be with you it helps having someone that knows all that the different country got to offer and be able not to miss anything. Wow! Beautiful pictures and highlights of your trip!! Yes, I went through Hurricane Andrew in 1992 and wouldn’t wish that on anyone. So frightening! Thanks for all the reviews and glad that you had a mostly beautiful vacation! awesome. the trip looks fantastic and i wish i could travel but its a great way to live life and enjoy. I have been wanting a vacation for over 22 yrs. and this looks so wonderful! Wow, I would love to do this, Thanks for sharing it with us! Taal Vista Hotel. 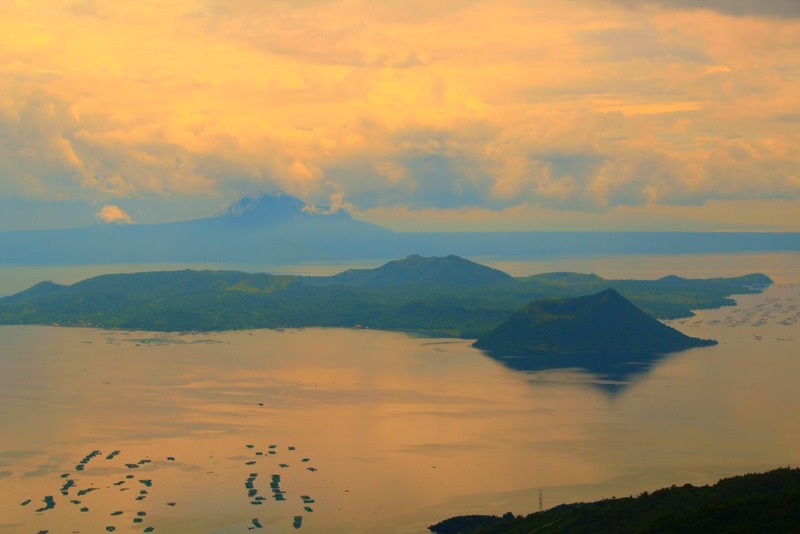 Overlooking the Taal Volcano and Taal Lake–now that’s a view I’d love to see. I’ve never thought much about visiting the Phillippines, but your pictures and article make me actually want to visit. Which is a big surprise to me!